Our Founder Shri. V. Ramakrishna ICS. Modernize… Indigenous… Never compromise on Technology were the words of our founder Shri. V. Ramakrishna. 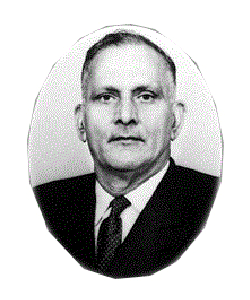 He was an Administrator, Industrialist, Educationist and Philanthropist par excellence. The KCP group of companies had its beginning in the year 1941. Under the dynamic leadership and technological farsightedness of Shri V Ramakrishna, KCP ventured into various areas of industrial technology critical to a nations growth and today it is a diversified 50million US $ Business group in Heavy Engineering, Sugar, Cement, Hydel Power, Information technology and Biotechnology.